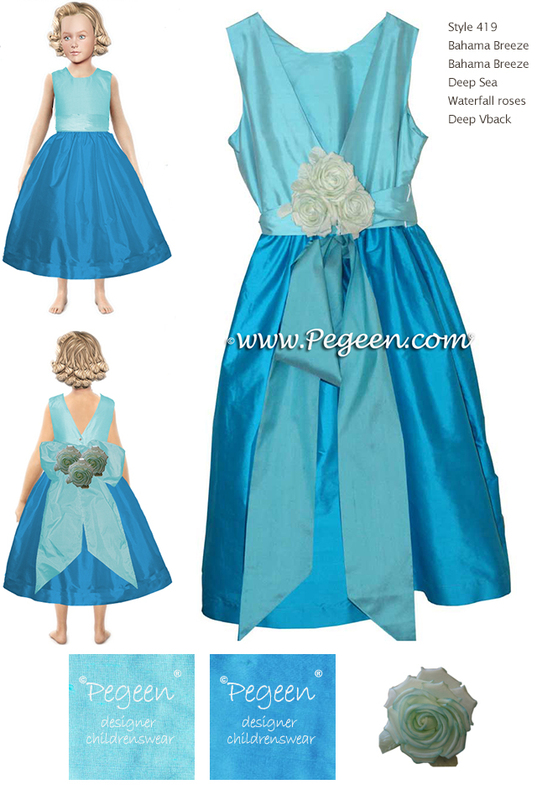 Pegeen Flower Girl Dress Blog - Have you tried our Flower Girl Dress Dreamer yet? What if I told you that you could design your very own custom dress just like building a car on our website? And what if I added that each time you play with the Dress Dreamer, it will completely price out your garment? And choose up to 2.67 billion different combinations of colors, styles, accessories and trims? So, have you tried using our Pegeen Dress Dreamer yet? PEGEEN continues to enhance our Pegeen Dress Dreamer with new features, ability to add bling and more. If your creative juices are something that gets you going, try over 2.67 billion possibilities of color, style, trim, flowers,laces and more and create something truly unique. Click our announcement on the side of the skyscraper where we made our announcement in Times Square to learn instructions. Below are just a few that our customers have designed with our help. Click each image to read more. Then try your design skills in our Pegeen Dress Dreamer. Below we featured flower girl dress is style 419 Silk, deep back, square neck, full skirt , flowers 200+ Silk Colors in mix or match choices. Sleeveless only, others options Ballet Length. Shown here with colors Bahama Breeze and Deep Sea with a waterfall of roses. 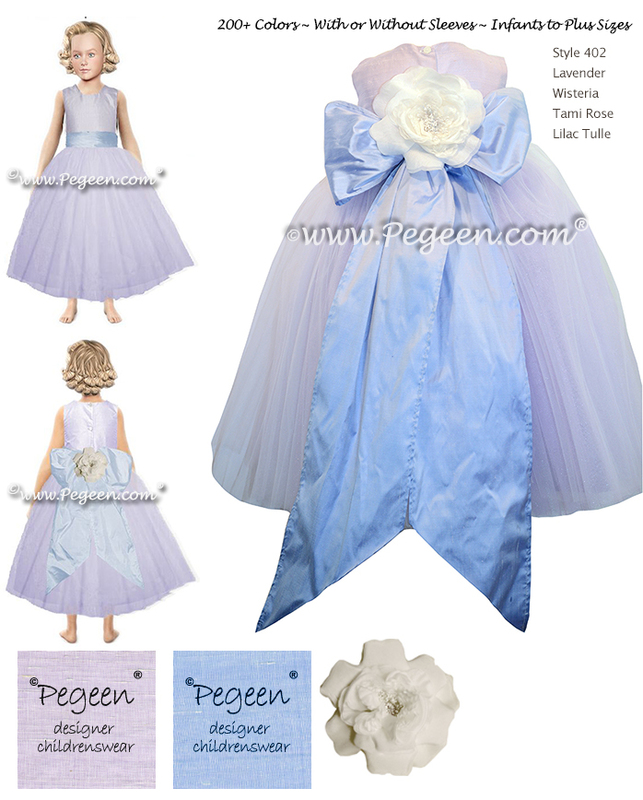 Below we featured flower girl dress featured flower girl dress is style 402 Slik Dress with Ruffled Sash. Lavender, Westeria and A Tami Rose and Lilac Tulle.